1. Operator Inattention: lack of scanning, and alertness. 2. Alcohol Use: Operating while under the influence of alcohol use. 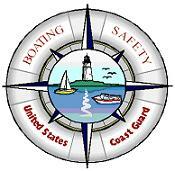 Information on choosing the right life jacket can be found here thanks to the USCG. Don't mix alcohol and boating. Know your boat and the rules on the waterway. Check your boat for all of the required safety equipment. Avoid diving off your boat. Depth may be obstructed or too shallow. File a float plan with a family member stating where you are going, how to reach you, and when you will be back. All adults and children should learn how to swim. Passengers should not ride in the cabin while boat is underway. 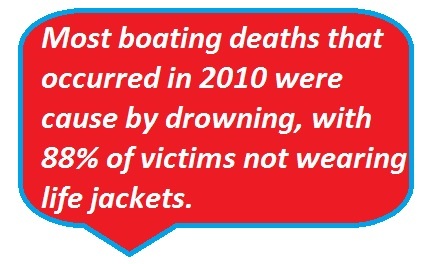 Click the link below for more information on boating safety.